Its really no secret that fruits and vegetables are good for your body, but do you ever think how the foods you eat affect your skin? In my practice I focus on healthy skin care routines to promote strong, healthy, beautiful skin for life. People come to me with questions and concerns about their unique skin and I show them what their skin is doing, why its does it, and how to take care of it with natural, high quality products. One concern I see over and over again is inflammation. Inflammation can take many forms on the skin such as Acne, Rosacea, redness, sensitivity, eczema, and sun damage. Now, I can give you healthy products to help these concerns, fortify the skin and pack it full of vitamins, minerals, antioxidants and hydration, but without a healthy diet to back it up, results will take longer and these issue could come back or take other forms. 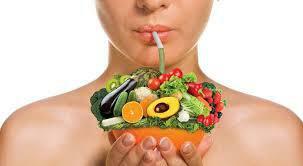 In my opinion, in order to have healthy skin, it is essential to also have a healthy diet. The first thing to ask yourself (and be honest) is what are your main concerns/complaints with your skin? What areas are frustrating you? Are you tired of going to the store and staring at the product shelf of false promises? A lot of these things don't work because they are designed to treat the symptoms, and not the underlying problem. If there is inflammation in your skin, chances are there may be inflammation in your body and organs as well. And guess what your organs are made up of? Cutaneous tissue. Which is, you guessed it…also skin! Different types of cells for sure but all need to be nourished in order to function properly. The foods you eat will make a big difference in not only your overall health but the health of your skin. I have solicited the help of my friends and colleagues Kendra Gaffney & Katie Rhodes who are registered dietitians and nutritionists whom I am lucky enough to work in the same office and frequently ask advice about food. Not really a surprise but, dark leafy greens such as Spinach, Swiss Chard, Kale, Collard Greens and Arugula contain powerful antioxidants, flavonoids, carotenoids, and vitamin C...all of which help protect against cellular damage. Get organic locally grown veggies whenever you can to significantly boost the benefits. Don't cook them to death, eat them raw as much as possible. Serving size: 4-6 1 cup (Raw) servings daily, 1/2 cup cooked. Ditch the salt and try fresh herbs and garlic instead. It will be just as flavorful and give your body some major anti-inflammatory and antioxidants benefits. Helps to heal, fight free radicals and boost your immune system. Modern medicine started out with plants and herbs and have been used for centuries. 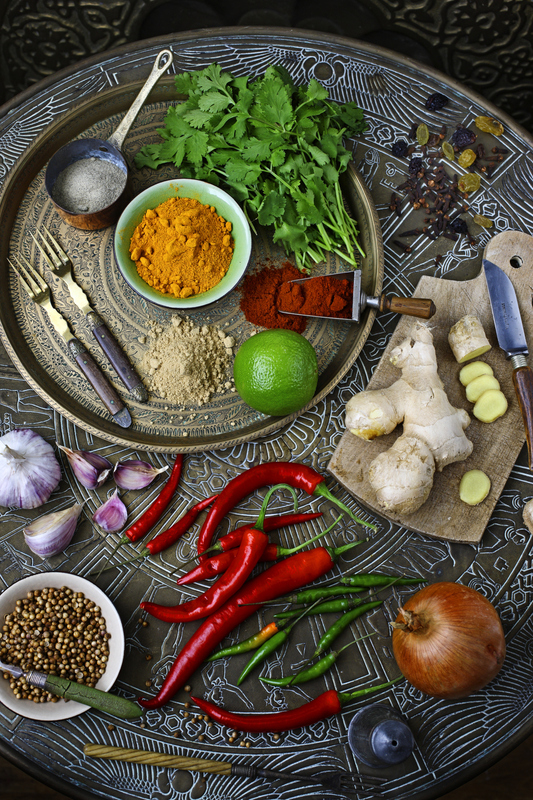 Some of the best to use are Garlic, Turmeric, Ginger, Basil, Licorice, Cinnamon, Cayenne, Parsley, and Rosemary. All very flavorful and ready to bring down inflamation in your body. Its all about those Essential Fatty Acids (EFAs) in the form of omega-3. Fish such as Wild Caught Salmon, Herring, Tuna and Anchovies have these essential Omega 3 fatty acids. It is important to buy the best quality possible and cook them properly though, so keep that in mind. Serving size: 3-4oz or the size of the palm of your hand. Almonds, walnuts, seeds, blueberries, oranges, cherries...all have vitamins and minerals essential to a healthy diet. You really don't need to go crazy with serving sizes. Usually about a handful of any of these items will give you the daily values you need to stay healthy. Green Tea and chocolate (70% Cacao or higher) have many antioxidant properties to help fight free radicals in your body and bring down inflammation. Everything in moderation. I love chocolate as much as the next person but for beneficial health effects 1-2oz is plenty. 6. Water, Sleep, Stress-less and ditch those processed foods! So I use and trust Pevonia Botanica for my skin and practice. If you come see me and are having issues with inflammation, Im most likely going to use the Pevonia Sensitive Skin Care Line, Reactive Skin Care or Rosacea Skin Care Line. It has the essential ingredients that I look for when treating these conditions. Quality ingredients are even more important then product names or labels, so buy one you trust or even better, learn how to read the ingredients on the back of your skin care products much like you would your food. Formulation and delivery systems are also very important when choosing products. Just because it has an ingredient you like doesn't mean that the overall formulation will be the best for you. Everything you put on your skin with get absorbed by your bloodstream. Dont worry, if you are not sure, just ask me. I am always here to answer skin care questions for you. Are your symptoms severe and reoccurring? You may need to see a doctor about any possible underlying allergies or illness. Remember, inflammation is your bodies way of reacting to an injury or illness (or even a slight imbalance) in order to protect it. Chronic inflammation can cause a breakdown in cells that will age you faster and effect your health. Correcting this imbalance can get rid of redness, ease Acne, Rosacea, Eczema and even slow down the aging process. 1. Chamomile, Calendula, and Lavender: All great Flowering Herbs to bring down redness, heal and protect. 2. Horse Chestnut Oil and French Rose Oil: Don't be afraid of the the word "oil," these oils support and calm. 3. Aloe: Great reputation for soothing and healing. Fresh is best! Dont buy those weird gels full of chemicals and fillers, buy the real thing. 4. Propolis, Bee Pollen and Honey: Can be eaten or put on your skin. Made of course from bees, these ingredients have been used in skin care to encourage healing and calming dating as far back as Cleopatra! For more information about Skin Care Products or Concerns about your skin, contact me: Heather Perry, LMBT Licensed Esthetician and Skin Care Professional. Coming soon: More on eating for your skin. I will delve deeper on fats, fruits and veggies, antioxidants and vitamins. Stay Tuned!